Fort McMurray has been our home for over 40 years. We have seen our region go through busy and slow periods. Our commitment to safe, reliable service has not been compromised during these times. We work hand in hand with the Municipality of Wood Buffalo, RCMP and Fire Department in keeping our streets in the Municipality and surrounding areas clear of any vehicles that may prove to be hazardous. A-1 Towing has received tremendous support from our community and as our way of giving back, we have specific community programs that we are dedicated to supporting. We welcome the many challenges that lie ahead as our community continues to grow. We look forward to providing the Regional Municipality of Wood Buffalo (RMWB) with our proven and reputable service. A little history – when the Marine insurance firms of London started the association later to become known as “Lloyd’s,” they also started a register of ships and shipping in which the condition of the ships and their cargo was noted. The ships were graded by letter; the cargoes by number. “A” meant the ship was perfect; “1” meant that the cargo was likewise perfect. 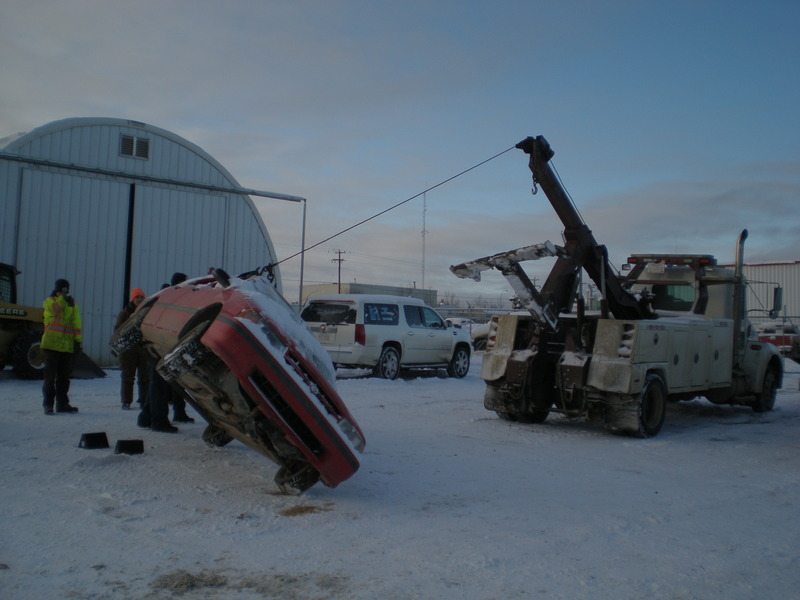 Occasionally, A-1 Towing has to handle more than just long-haul vehicles and heavy equipment. We’ve taken on a variety of jobs over the years and have consistently offered the utmost in high-quality service and safety despite the unusual scenarios. From towing your sports car to commercial vehicle and semi-truck recovery, we are well-equipped to meet your needs. 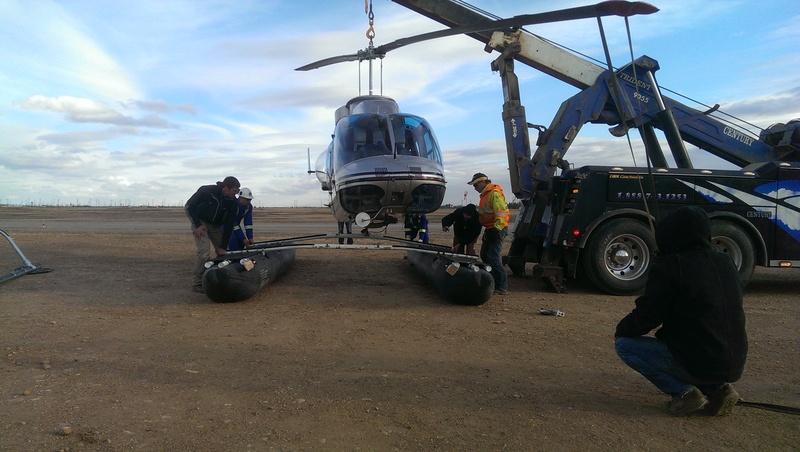 One of the most unusual jobs A-1 Towing has worked was a project where we were hired to help change a helicopter’s landing gear on the helicopter pad. We travelled to the airport and lifted the helicopter in order for the landing gear to be changed. There is nothing that feels better than being able to give back to our community! A-1 Towing has never turned anyone away when there has been a need to donate or sponsor an event in Fort McMurray. From purchasing tickets to charity golf tournaments, raising money to feed families with RMWB Bylaw, supporting RMWB Fire Department’s annual Campout to joining Fort McMurray Markaz ul Islam Fundraiser and helping out PCA (Pakistan Community Association) Annual Events, A-1 Towing is always ready to help. A-1 Towing, along with other local businesses, helped sponsor the 3rd annual Fort McMurray Fire Department Rooftop Campout. This fundraiser helped benefit local agencies from the Fort McMurray Food Bank to the Fort McMurray Boys & Girls Club. Read the news article to get the whole story.